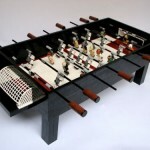 LEGO fans who are also foosball fans will love this one. 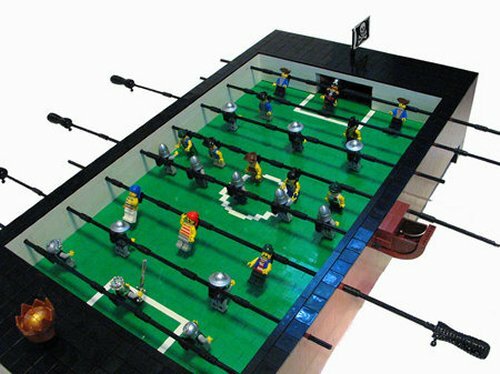 This LEGO Coffee Table Foosball Table features custom minifigs and an authentic “faux” oak woodgrain finish. The creator says that he still has to tweak some of the finer details, but it looks pretty amazing. 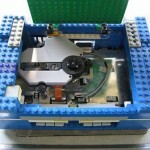 Much nerdier and cooler than the Barbie Foosball table. The only question we have is, how durable is this? It has some amazing detail and looks like a lot of fun. The pirate flag is a nice touch. Now, who will battle him in the first official LEGO foosball championship? You know it’s coming. Better keep an eye out and get your tickets.